This glossary provides an easy-to-use alphabetic list of all the online gambling gambling terms you will need. 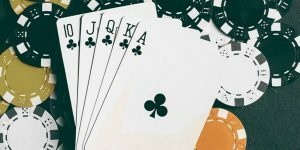 If you’re a new-comer to online casino gambling or are simply struggling to get your head around the various terms involved, this glossary will help demystify the sometimes-complex vocabulary involved. You can also use the ‘find’ feature on your browser, typically accessed using Command+F on a Mac and Control+F on a PC, to search for a word or phrase. Simply type the term into the box that appears in the top right of your screen. Please always remember that Gambling can be addictive, Please Play Responsibly! Affiliate: A third party that promotes one or more online casino sites. AGCC: Acronym of Alderney Gambling Control Commission. The Channel Islands offer tax benefits and smaller online casino sites based there may operate using an Alderney license. Aggregate pay-out limit: The cap on winnings that is applied in certain casino table games. Ante: In poker, an initial bet required to begin play. In blackjack, a commission charged per hand. Bonus: Additional money or gambling credit that players on casino sites can play for. Rules generally apply to bonuses in relation to pay-outs, wagers, deposits and so on. Games can also offer bonuses as a feature in the game. In this instance, a bonus can come in the form of, for example, free spins or a free round. Bonus abuse: Unwanted or dishonest use of bonus play in online casino gaming. Bonus ban: When a player is banned from accessing any future bonuses. To receive a bonus ban, a player will typically have violated the terms and conditions of a bonus offer. Bonus bet: Another term for a side bet. Box cars: A throw of the dice in craps that results in two 6s. Bust (or go bust): In blackjack, to exceed a score of 21. More generally, ‘to go bust’ is to become bankrupt or run out of credit. Cashable (or cashable bonus): A bonus offer that allows the player to withdraw the bonus amount. Cashback (or cashback credit/bonus): When players are refunded a percentage of the credit they have lost over a specific period into their playing account. This is a common practice among online casino sites. Chargeback: When someone disputes the charges made to their credit card. In online gambling, this is normally a player who believes that a deposit made to an online casino is not genuine but is instead the result of fraud. Comp points: A type of loyalty points earned for using a certain service or website. Players usually earn comp points by gaming and when a set number of points has been earned, they can then be used for free spins or as gaming credit. Contribution: The proportion of wagers that go toward a game’s bonus wagering requirement. The level of contributions varies according to game type, and some live online casino games (e.g. blackjack) do not contribute to wagering requirements in full. Dice: Colloquial term for craps. Double up: In slots and poker, to risk winnings by doubling the odds. In blackjack, the doubling of the initial wager. Even money: A wagering proposition with even odds. In a game with even odds a successful bet of $100 will gain you additional $100. E-wallet: A player’s online account. It works as an online banking service that players can use to deposit, store and withdraw funds. The efficiency and speed of e-wallets, which are often quicker and more efficient than regular online bank accounts, makes them a popular choice among online casino users. Field: A through of the dice in craps that results in a role of 2, 3, 4, 9, 10, 11 or 12. Full house: A hand in poker made up of three cards of the same rank and a pair. A full house will beat a flush but not four-of-a-kind. Flush: A hand in poker made up of five cards of the same suit. A flush will beat a straight but not a full house. In online accounts, to flush is to manually turn off the pending period for a withdrawal. Free chip: Alternative term for a no-deposit bonus. Freeroll: A dice or card tournament which can be played without payment of a fee. Fruity (or fruit machine): In UK English, a slot machine. Otherwise, an arcade-style slot that delivers a fixed pay-out percentage in the short term. Hard hand: A hand in blackjack that is not soft, i.e. a hand made up of any two cards other than an ace. Hard ways: A throw of the dice in craps that results in double 2s, double 3s, double 4s or double 5s. Hit: To take another card in a card game. Hole card: The unexposed initial dealer card in most versions of blackjack (not Australian Pontoon or European blackjack). House edge: The percentage of a bet that a casino can expect to win in the long term. Insurance: A bet offered to players of blackjack when the dealer holds an ace and thus has a strong chance of achieving a score of 21. Jackpot: The biggest pay-out possible in a game. Live chat: A customer support facility offered by most online casinos that enables direct messaging between players and support staff to resolve problems and answer questions. Martingale: A betting strategy used in even money wagers where a player doubles their bet every time they lose until they win. Match bonus (or match-up bonus): A bonus that many online casinos offer to players when they deposit funds into their playing account. A match bonus is generally a percentage of the deposit paid into an account. Max cash-out: The uppermost amount of funds you can withdraw from your player account at any one time. Max cash-outs typically apply to bonuses that do not require a deposit and substantial match bonuses. Many online casinos also set limits for weekly and/or monthly withdrawals according to the country you access the site from. MG: Abbreviation of Microgaming. An online casino software development company that offer a variety of games, including Burning Desire and Thunderstruck 2. Muck: To discard one’s hand in poker. NDB: Acronym of no deposit bonus. Network progressive: Alternative term for wide area progressive. Nickel: In US English, a $5 gambling chip. No deposit bonus: A bonus given to players without the requirement that they make a deposit into their player account. Typically, a max cash-out applies to these bonuses (details will be given in the terms and conditions of the bonus). Odds: The pay-out of a wager; the probability of a particular outcome of a wager; or, in craps, a zero-edge bet up to a particular limit that can be placed on pass line, don’t pass, come or don’t come bets. Paint: A colloquial term for face cards. Parlay: To add winnings to an existing wager. Playthrough (or playthrough requirement): Another term for wagering requirement. Pokies: In Australian English, a slot machine. PT: Abbreviation for Playtech. Popular developer of online casino games, including the slots X-Men and A Night Out. Progressive: A jackpot that increases according to how many bets are placed on the game. Quarter: In US English, a $25 gambling chip. Rake: A poker term that refers to the proportion of the pot taken by the poker room. Reload bonus: A match bonus given to an existing player as a reward for their loyalty to a particular online casino website. RTG: Acronym of real time gaming. Rollover (or rollover requirement): An alternative term for wagering requirement. Royal flush: A hand in poker made up of an ace, king, queen, jack and ten from a single suit. A royal flush is the best hand possible in poker and will beat all other hands. RTP: Acronym of return to player. The percentage of a bet that a player can expect to receive back from a casino game in the long term. The full amount bet minus the house edge will give you the RTP. Scatter (or scatter symbol): A symbol in a slot that can appear on any reel to deliver a win for a player. Self-exclusion: A process used by players to request they be denied access to a casino or online casino site. Side bet: An additional wager placed in a game after the standard bet. Snake eyes: A throw of the dice in craps that results in two 1s. Soft hand: A hand in blackjack that is not hard, i.e. a hand made up of two cards including an ace. Split: In blackjack, to separate two cards of the same rank into two distinct hands. In roulette, a bet that covers two numbers that are adjacent to each other on the wager grid. Sticky: A bonus, the amount of which a player is not permitted to withdraw. Straight flush: A hand in poker made up of five consecutive cards of a single suit. A straight flush will beat four-of-a-kind but not a royal flush. Straight-up (or straight-up bet): A bet on a single number in roulette. Street (or street bet): A bet in roulette covering a column of three numbers on a wager grid. Sucker bet: A bet that overwhelming favors the house, more so than a typical bet. Suit (or to follow suit): The playing cards in a pack that share the same symbol (i.e. diamonds, spades, clubs and hearts); or to copy the move made by the previous player in a game, for example, playing the same card as your predecessor. Stand (or stick): To stop taking cards in blackjack, thus turning the play over to the subsequent player to dealer. Terms and conditions (or T&Cs): The rules that apply to all users of an online casino site. They will dictate all elements of the site’s services, including who is eligible to play and the rules affecting bonuses. Third base: The last player to make a move in a multi-player table game. Tip/toke: A gratuity given by a player to a dealer or other casino employee. Trigger: To activate a special feature in a game, typically video slots. Trips: A colloquial term for a three-of-a-kind hand in poker. Twist: Alternative term for hit. Wagering requirement: The amount that must be played before a player can make a withdrawal from their player account. Wagering requirements are often applied to bonuses as a multiple of the bonus amount. WAP: Acronym of wide-area progressive. 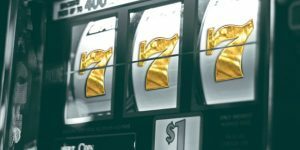 A jackpot for a game that is available for that game on all the online casino websites that offer it. Welcome bonus: A bonus received by new-comers to an online casino site. WR: Acronym of wagering requirement. Yo: A dice throw of eleven in craps. Copyright 2018- All Rights Reserved. Dealerscasino.com is a brand owned by EM Online ApS, a company incorporated under the laws of Denmark. The games on this website are powered and operated by Aspire Global International LTD., a Malta based company with registration number C42296 and having registered office at 135, High street, Sliema SLM 1549, Malta, which is a fully licensed operator under the Remote Gaming Regulations of Malta MGA/B2C/148/2007 issued on the 17 August 2009 (this license incorporates the previous licenses held by the Company and list the old license numbers with their license dates) and regulated by the Malta Gaming Authority. In Great Britain only, the games on this website are operated by AG Communications Limited, a Malta based company with registration number C48328 and having registered office at 135, High street, Sliema SLM 1549, Malta, which is licensed and regulated by the United Kingdom Gambling Commission (Remote Gaming License Number 000-039483-R-319409-001). The games offered by isoftbet are approved and licensed by Alderney Gambling Control Commission, license number: 117C2. The current status of operators license can be found at: Gambling Commission.